Popcorn Time is a great app that allows you to watch streaming movies on your device. It works in much the same way as Netflix, but the major difference is that you can also stream illegal movies. Basically, Popcorn Time works like a BitTorrent client that includes a media player. So while you download a torrent, the media file is streamed on your device. And the best part, it works on many different platforms and it is totally free. VPN for Popcorn Time – It is Necessary? Not all movies on Popcorn Time are illegal, but most are. Once you finish watching a movie, Popcorn Time allows your device to act as a seed, meaning that other people can download the movie from it. Depending on what movie you watch and where you are located, this may be illegal. Depending on the laws that apply in your country, you may be fined or even imprisoned. If you want to continue enjoying free movies, without worrying about the consequences, it is mandatory to cover your trail using a VPN. A proper VPN will hide your Internet activities from the eyes of your ISP and your government, allowing you to watch any movies using Popcorn Time without having to worry about any legal consequences. Some countries have blocked Popcorn Time. For example, if you live in Belgium you will not be able to access Popcorn Time. Many countries have a similar restriction, as this app violates copyright laws. When you use a VPN, your actual location and IP address will be hidden. When you use a VPN, you hide your real IP address and location. This creates a secure bridge between your device and the Popcorn Time server, and since your real location will be virtually hidden, the geo-restrictions is no longer relevant. Internet service provider monitor your online traffic and browsing data. When your data traffic is increasing, using a lot of bandwidth, ISPs can limit your network (what is known as throttling). This means that wherever you download movies via BitTorrent or watch streaming videos using Popcorn Time, ISPs can “strangle” the speed of your internet connection. If you want to enjoy the full bandwidth that is offered, you need to hide your activities from the eyes of your ISP. You can do this by using a VPN. Since ISPs can not monitor your online activities when you use a VPN, they can not limit your internet connection. Now you can enjoy streaming and downloading at full speed. Using a VPN your identity stays hidden, so that nobody can track your every step in the online environment. All the data that is sent between your device and the VPN server is encrypted. These encrypted data are incredibly difficult to decode, and that is why it is almost impossible to spy on your online activity. Watching Popcorn Time using a VPN, your Internet Service Provider (ISP) can not make the difference between a pirated movie or a legal streaming, so it’s safe to say that you will not suffer any legal consequences. Using a VPN it is also possible to hide your geolocation. This, known as geo-spoofing, allows you to access content that is normally blocked in your country. For example, in China you can not download or use Popcorn Time on any device. But with the help of a VPN you can install and use this app in a secure way to watch and stream all your favorite movies. 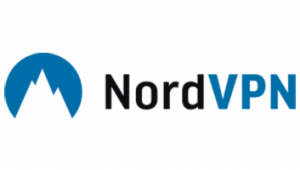 NordVPN has only been on the market for a few years. But it is growing fast lately. VPN is provided by a company in Panama, where there are no data retention laws. Nord VPN promotes an Internet without censorship or surveillance. So, with their service, it’s all about protecting privacy. But they also know what users want: speed and no logs. And that’s what they offer us! 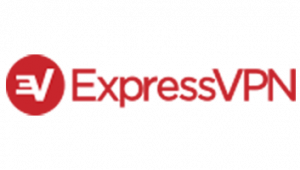 ExpressVPN, Express VPN or VPN Express (for friends) is one of the oldest and famous VPN in the market. And it’s also one of my favorites. Why? First of all, it is very fast so perfect for streaming and torrents. Second, it covers a wide range of countries (more than 94 at the time of writing). And third, its applications are user-friendly, easy to use, and available on most platforms. Although P2P can be a great way to watch movies, but slow buffering and frequent interruptions can be very annoying. With Popcorn Time, movie streams will be loaded at the same speed they are downloaded, so any buffering problems well be thing of the past. I think the mention VPNs are too costly and now there many best VPNs here which you subscription at an affordable price like I am using FastestVPN at the office and its working fine and there 83 percent discount on their 2-month subscription. 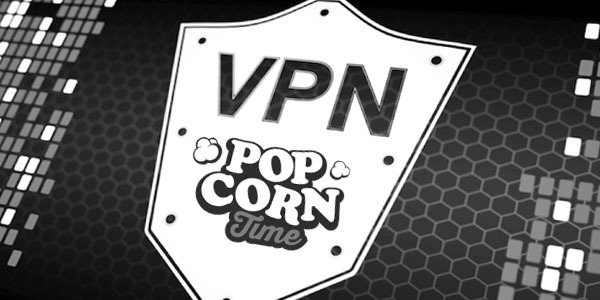 you can also find the VPN for Popcorn Time here.